Villa Kaan is a Mediterranean style villa, jacuzzi, solarium, terraces, in PLAYACAR PHASE 1 , 10 MIN WALKING TO DOWNTOWN 5AV, AND 70 STEPS TO THE BEACH. surrounded by large trees. In the middle, there is a pool with a hammock deck. .
SECOND LEVEL: MBR with king size bed, several terraces, deck on top with a hammock for Star´s watching, and solarium, where outrageous sunsets and dynamite sunrises, Jacuzzi, walk in closet, bathroom, security box, and high ceiling incredible cupola. BR B Amenities: /B BR GOLF, TENNIS, WINDSURFING, FISHING, HORSEBACK RIDING. WALK TO EVERYTHING: Restaurants, Scuba, Stores, Ferry to Cozumel, Mayan ruins, town. OUR LOCATION, OUR POOL AND OUR BEACH. PLAYACR PHASE 1, THE BEST LOCATION!! Needs major maintenance and an update in amenities! Let me start by saying that the reviews for this property can vary because there are three “identical” houses that rent off of this one listing, the one you see isn’t necessarily the one you get. Also, this review is taken from the perspective of a typical, middle class, American family. I do not necessarily know what is typical for a house or living in Mexico. Our family of 5 adults stayed here the beginning of January 2019. We were fairly disappointed not only in the condition of the house but in the limited amenities provided. Amenities that are in the listing but not provided are: Garage/off street parking (there was always someone else’s covered van parked in our driveway), activities guide, local maps, paper towels, basic soaps, toilet paper, grill, VCR/DVD player, radio/CD player (we never turned on the TV so I can't comment on the satellite service but we did not see anything hooked up to the TV). We thought the kitchen could have been better stocked. Example, there are plenty of pots and pans but no lids. There were no plastic food storage items and no insulated or plastic cups to take to the beach. There was also a limited amount of drinking glasses. Lighting in the house was terrible. The master bathroom had only 1 of the 6 bulbs working, we had to steal bulbs from other areas of the house. Maid service was listed as an amenity and although they came every day they did little more than make our beds. Except for one of our rooms we never received clean towels or linens and toilet paper was never replenished. They then had the nerve to leave a tip jar at the end of our stay. Because none of the doors or windows seal properly water would leak in when it rained and ants were a constant problem. Worst of all were the beds (all of them). I can’t even begin to describe how hard they were. By the third day I had bruises on my hips. I actually peeled the linens off to make sure it was a mattress and not a wood box we were sleeping on. The mattresses were obviously purchased for longevity and not comfort. The property is three stories and the bedrooms are all on different levels making it not ideal for families with small children or people who have difficulty with stairs (contrary to the listing). In the interest of keeping this review somewhat short I cannot include everything that disappointed us but it is obvious little has been done to maintain this property. We would not stay here again nor would we recommend. Wonderful property! Great location! A lot of maintained that needs to be kept up. Dear Joanne, thanks for your coments, we hope see you soon! A small piece of paradise for sure! From the location to the amenities to the views and comfort, we couldn't be any more pleased with this rental. Being a mere block from beautiful, clean, private beaches was a dream; ALSO having the villa-side pool surrounded in trees and lounge chairs was even more prime for different daily options. But if that wasn't enough, retiring to the rooftop hot tub and full seascape view for the evening was truly the cherry on top! The villa itself was huge, warmly designed and full of all the things we needed for a great stay. Each floor had something special and there was more than enough room for everyone to feel like they had their own space. The master bedroom was particularly stunning with it's wrapping terrace and rooftop hammock area. We both cooked and ate out with a lot of ease. Other than the natural locale, we were walkable to all of the major restaurants, bars, shops and nightlife needed. Taxi's were available right outside the community gates for further trips. We found that in 5 days you could get to anything you wanted at arm's reach. As for the staff, they couldn't have been nicer, more professional or more accommodating! From booking to arriving and all the way through, each person we encountered helped us in a different way. Someone was always a phone call or email away. The home was always clean and well stocked and the HomeAway contact was very helpful in the booking and financial process. Overall, I recommend this booking very highly. We truly had a wonderful stay and will definitely forward the link on to friends in the future! Dear Matt, thanks for your coments, remember is your home!! Hola Angelica y familia , solo unas pocas palabras para recordarles que es su casa!! Yup, you read the title right. I thought it was too good to be true so I was very cautious up to the point of almost suspicious. Jesus, the main contact person was nice enough to answer all my emails. He has Skype account that you can use to call or chat with him. Carlos, the villa manager and second point of contact is the sweetest and most accommodating manager I've met. One call and he's right at your door step to check the problem and offer a solution right away. I would hire Carlos to manage my property in a heart beat. Delia and Amir, both the house helpers could not speak English at all but a little bit of sign language is enough for the communication. They are both friendly and hard working. Location, amenities, layout - The gated villa is walking distance from the 5th Avenue. There are lots of bars, restaurants and dance clubs on that area. The security guards knows us already when we walk home around 4 AM a bit drunk but still very happy and can walk straight. 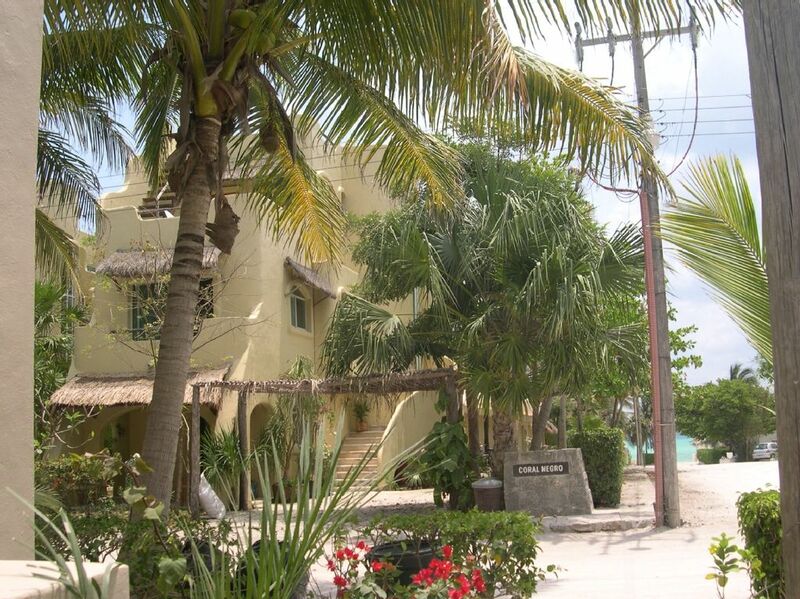 You will also be happy to know the villa is only about two blocks away from the white sand beach. There's not a lot of people on the beach. It always feel like we have our own beach. Cleanliness - Delia always comes around 10 AM to clean the house. She's very polite and hard working. We never lost any item in the house so Delia and Amir are very trust worthy. I would suggest you keep your passport in the safe though. When we were there, we would leave our iPads, laptops and other gadgets laying around. Customer Service - I wish I can give the owner 6 stars and also Carlos, Delia and Amir. Activities - Eating is our main activity (joke). The place is near the expensive restaurants on the 5th avenue, beach front locally operated restaurants and food carts. Feel free to choose. You can have a meal for $4 or $18. We all prefer to eat at pop and moms restaurant and save our money for drinks and clubbing later. We swam a lot as well. The beach is just so close to the villa. Clubbing - Oh well, the place is near Senior Frog. Just check the Lonely Planet about it ^ . ^ my lips are sealed. Coco Maya has great music and awesome DJs so you should check it too. I highly recommend this place!!! Per week, Tax Included, SPECIAL PER MO. RESERVATION DEPOSIT: 50%, CANCELLATION POLICY refundable if 30 days prior to arrival and 60 days prior to arrival for major holidays. Final payment is due 30 days prior to arrival. Mail takes 25 days. Checks in U.S.D. Cashier check. No credit cards. DAMAGE DEPOSIT: Required at check-in & refunded at check-out after house inspection. Extra person $25 per night. Check in 3:P.M. Check out 12:00 noon 3BR VILLA Jan. 2 - Apr. 30 Apr. 30 - Ago 28 Ago 28 - Nov 19 Nov 19 - Dic 16 Dic 16 - Jan 1	$1990 $1690 $1390 $2450 $1690 Additional units available, please inquire for details.